On May 11, 2016, Bill Spohn will be presenting to his local RSES group on the topic of “Understanding the Features and Limits of Your Diagnostic Testing Equipment” – a synopsis of the session is below. Are you pro or con? Or could care less? drop Bill an email and let him know what you think! If there is enough feedback, Bill will write a blog post or article on the topic. Technology keeps on advancing and with it the technology that is in your tool kit. Bill Spohn, President and Owner of TruTech Tools, LTD (and formerly with Bacharach and Testo for 10 years each) will give an overview of the changes in diagnostic test equipment technology that he has seen in the last 25 years. Most notably we will discus the acceleration towards new wireless and smart device based products. Lots of people are raving how they increase their productivity. Bill will share his opinion and some data on this. A logging DVM that connects to your phone…. Take a look at this new product. TruTech Tools is excited to have the chance to be the first distributor in the HVACR space contacted by the manufacturer. The verdict is in, we are carrying the product! It’s on board storage of 20,000 readings and BlueTooth connectivity make it quite interesting! Will speak measurements to you at rate you set in phone. An Acquisition and a Grand Opening! FieryChill has been acquired by TruTechTools and we’re opening a counter on 7-29-15 in Akron, OH! Of the TruTech Tools and FieryChill Counter! 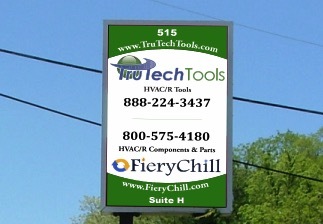 We are excited to announce that TruTech Tools, LTD has acquired the assets of and will now operate http://www.FieryChill.com – a website devoted to providing the best parts, components and supplies for HVACR and building performance contractors. Click HERE or on the image above to hear a video invitation from Josh! Adding parts and equipment and a counter is natural progression and excellent fit for the growth of the TruTech Tools businesses. 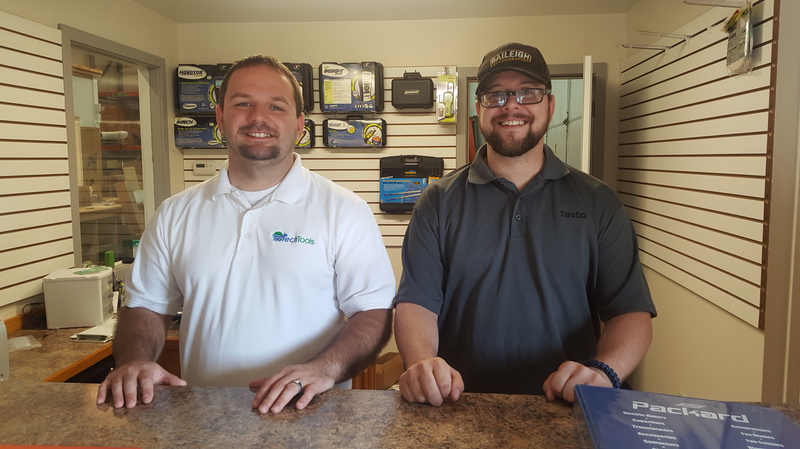 With the acquisition we added two employees, Dan Hunter and Matt Kolker. Dan is a 14 year veteran of the HVACR trade and was a principal at FieryChill and is now a business partner at TruTech Tools, LTD. Matt brings computer, technical and customer service skills to us. In addition to adding a company, our business is growing, so we have recently doubled our warehouse/office space and increased inventory levels in order to maintain the high level of service you have come to expect. The entire team has spent many hours planning, preparing and building out our facility to better serve our customers. See our new showroom / pick up counter at 515 E. Turkeyfoot Lake Rd., Suite H, Akron, OH 44319. Click HERE for a map. We’ll get things started at 8:30 AM on Wednesday, July 29, 2015 and run to about 3:30 PM. We’ll have some special offers and prizes! Come meet the team. Don’t miss out! Helena, Montana — July 15, 2015 — Habitat X, organizer of the national think tank for the sustainable building industry, will convene the 2015 Habitat X Summer National Conference this July 21-23 at Big Sky Resort, Montana. Montana Lieutenant Governor Angela McLean will offer welcoming comments, discuss the Montana SMART Schools initiative, and sit for a candid interview on Tuesday July 21st at 10:00 am in the Madison Room.